*Conditioner is meant to help replace the moisture that clarifying shampoos can take from the hair such as the hairs natural oil (sebum) and give strength to the hair shaft. *All hair conditioners fall under 6 categories: re-constructors, moisturizers, acidifiers, thermal protectors, detanglers, oils and glossers. *A good conditioner contains some variation of the following ingredients: protein, essential fatty acids (EFA), humectant, acidifiers, sequestrants, and preservatives which keep the product from spoiling rapidly. *Most Conditioners are ph balanced and are generally acidic which provides the hair with a positive charge causing more hydrogen bonds between the keratin (protein in hair) scales thereby giving the hair a more compact structure. *A good reference to use in case you want to check the safety of your hair products is www.cosmeticsdatabase.com. I recommend this site because some hair products contain carcinogens which have been linked to cancer. Conditioners/moisturizers hold moisture in the hair. Usually these contain high proportions of humectants. Humectants draw moisture in to dry areas. 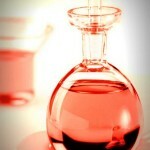 A few natural humectants include honey, sugar, and glycerin. It is important to consider whether conditions with the use of humectants because if it is moist outside your hair will absorb some of that moisture but adversely, if it is dry outside humectants will pull moisture from your hair. Reconstructing conditioners usually containing hydrolyzed protein. Their role is to penetrate the hair and strengthen its structure through polymer cross linking. Natural protein containing foods include milk and egg. Acidifiers contribute to the ph balance of hair. A couple natural acidifiers include citrus fruit like oranges and lemons. The oils (EFAs – essential fatty acids) in conditioners, can help dry/porous hair become more soft and pliable. The scalp produces a natural oil called sebum. EFAs are the closest thing to natural sebum (sebum contains EFAs). The EFA with the most likeness to our natural hair oil sebum is avocado oil. Sequestrants in hair conditioners provide better function in hard water and serve as a preservative. A couple natural preservatives are honey and tea tree oil. All of the above stated ingredients in conditioners and moisturizers are what gives us the “slip” (ability to comb through hair easily) that we so hungrily desire. Earlier this summer when my favorite conditioner of a year ran out, I decided to try new conditioners. Needless to say, I am glad I did! While I still love Giovanni’s Tea Tree Triple Treat for the cool tingly feeling it gives my scalp, I can just add a few drops of tea tree oil to the Tresume Naturals conditioner and get the same results with much better “slip.”Now this is not to say that my days of trying new conditioners are over but for right now I’m content:) I wish you all well in discovering your own personal favorite conditioner and hope this post will serve as a guide for what qualities you can look for in a conditioner for your hair type. Comment and leave your favorite conditioner or products below. Cee ya in the next post! I have too many favorites, from Yes to Cucumbers to anything by Giovanni to Oyin Honey Hemp. I just used some Shea Moisture Deep Treatment Masque for a deep conditioner. Works great, although the smell is not the best. I would say that conditioner is my creamy crack. I can hardly imagine a hair regimen without it. I use the above conditioner: Tresemme Naturals but really want to try Herbal Essences Hello Hydration and Herbal Essences Totally Twisted. Possibly Giovanni and Aussie Moist lol. I tried the Hello Hydration and the Aussie Moist. Liked aussie moist best I think it was the wonderful smell. Aussie Moist has amazing slip! My favourite conditioner right now is Organic Root Stimulator Olive Oil Replenishing Condition (OMG , what a mouth full) Although it isn’t all natural I love the results and the rich orange freshness that it gives. I also use Herbal Essence Hello Hydration and Beautiful Ends. They are also really nice and smell good. I am currently experimenting with conditioners at the moment and might try adding Mayo to the Herbal essence as I don’t think it works as well as the replenishing conditioner. Yes a conditioner that your hair responds to changes EVERYTHING…I just discovered Oyin Hemp and I’m finally seeing what my hair is supposed to look and feel like when conditioned, moisturized and happy. I’m looking forward to seeing some growth now! so, so true! i start to panic if i realize i don’t have backup bottles on the shelf. i actually make a trip to target every 2-3 weeks just to buy conditioner! 4-5 33oz bottles and i go through a bottle every 4-5days – i co-wash daily. i’ve tried nearly everything on the market and my fav is garnier pure clean. thick, rich, and creamy with lots of slip, and cheap! i add a bit of ors hair mayo to keep my strands pumped up and my hair’s a happy camper! I don’t find that I’m addicted to conditioner as much as a leave-in and coconut oil to seal. hello, my name is sara…and i’m addicted to conditioner.lol I actually ran accross these 2 products which are dominican products that the salons use on my hair and it ends up leaving my hair feeling like silky, buttery goodness!lol Its 2 conditioners : Kanechom is the brand (and katrite is the type, karite is shea butter) and you mix that with a conditioner called Silicone Mix. I know they are not natural products, but NOTHING comes close!! (you can find them on amazon)…OMG TRY IT!! I am definitely gonna look into that conditioner thank you for the share :). I’m Dominican and had been using Silicone Mix for years, the slip is TOO GOOD to be true. You should try Miss Key’s “10 en 1″ Super Conditioner which is also a dominican product. I grew up with these conditioners. Both are really thick and creamy, a little goes a LONG way. I am addicted to conditioner as well! I washed my hair today and just PILED the conditioner on, the feeling of running my comb thru freshly detangled hair is awesome!!! My fave was Herbal Essence Hello Hydration but today I tried Aussie Moist and it gives really unbelievable slip! 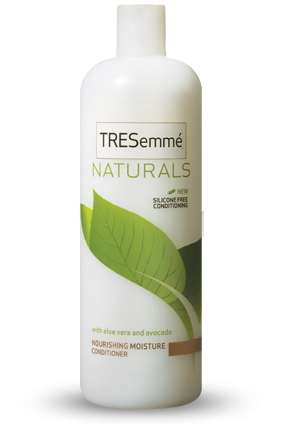 I tried that Tresemme (featured) , good stuff! !